The weekend of February 7-9, 2014, was special in many ways. 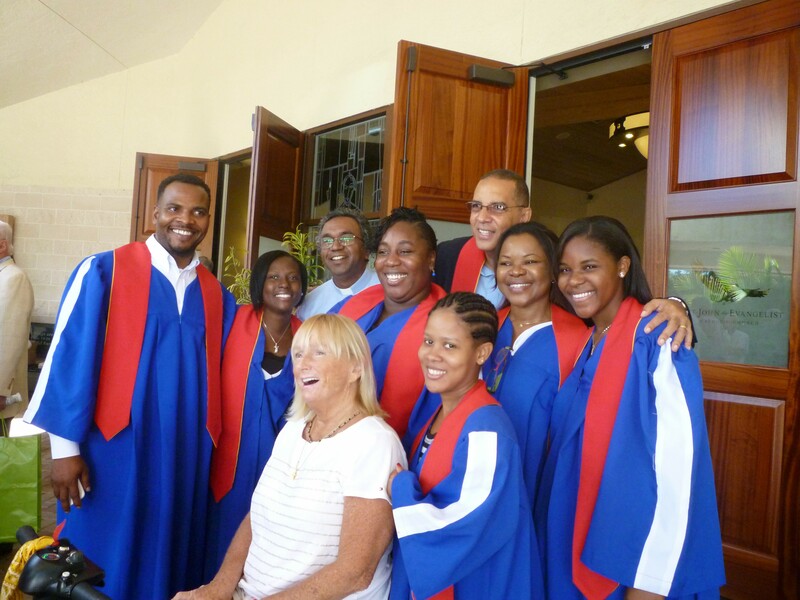 A Jamaican choir under the direction of Kevin Williams graced the liturgies at St. John the Evangelist Catholic Church in Naples, FL with beautiful voices and hymns. That weekend a special collection was taken up in the church to support our sister parish St. Pius X, the medical, dental and optical clinics at St. Pius X as well as education programs there and elsewhere in Jamaica. We extend heartfelt thanks for your support and loyalty to our mission to help the poor in Jamaica. Hosting the choir for three days in private homes involved a concerted effort on the part of many. Hosting involves chauffeuring, lodging, feeding, and providing a home away from home to a choir that gives its all with cheer and good will. The fact that those amenities are extended by our hosts to people they have never met says a lot about our parish. Inviting perfect strangers into your homes takes a leap of faith and a special kind of courage; they delivered both with grace and style. Other groups and families “hosted the hosts” and their Jamaican guests for their evening meals throughout the weekend. It was a great service to many by a very special few. We told our Jamaican guests that they were missionaries to Naples. As they shared their energy, time, and talent on behalf of their fellow Jamaicans, they renewed our own energy, time, and talents on behalf of the very same people. And aren’t we all lucky to have someone like Kevin Williams befriending our cause? What a great ambassador he is for Jamaica’s poor! Help us continue our mission. Donate now.